"Homeopathy – from Childhood to Old Age"
Following the highly successful congresses of recent years, with up to 500 participants from 30 countries, we are now pleased to announce the upcoming 2014 homeopathy congress: "Homeopathy – from childhood to old age." Leading homeopaths from around the world will be presenting their individual approaches to the treatment of children and elderly patients - from ADHD, behavioural disturbances, and typical illnesses of childhood through Alzheimer's disease, cancer, and other chronic illnesses that occur more often with increasing age. A multifaceted congress that promises to be a highlight for 2014. The popular Dutch doctor Resie Moonen kicks off the congress with her report on the Lanthanides for children. She presents impressive cases of learning and behavioural difficulties as well as autoimmune disease. The English doctor Jonathan Hardy, who was very enthusiastically received at previous congresses, shows the great potential of spider remedies for children with problems such as ADHD, sleeplessness, and motor disturbances. NEW: Sunirmal Sarkar (another insider’s tip) gives valuable notes on the homeopathic treatment of Alzheimer’s disease as well as on the application of potentised chemotherapy as treatment of cancer. On the second day, the well-known Indian homeopath Alok Pareek draws on his extensive clinical experience to discuss neurological disturbances, including the major theme of "Alzheimer's dementia" in elderly patients. Rosina Sonnenschmidt offers reports of healed cases of muscular atrophy, borreliosis, and early-onset dementia, including some powerful live cases. The French doctor Jean-Lionel Bagot shows how he treats cancer patients, achieving an astonishing reduction in the severity of side effects from conventional treatment. On the final day the well-known Swiss homeopath Heiner Frei shows how polarity analysis makes it possible to run a busy paediatric practice with 40 patients a day. Heidi Brand and Norbert Groeger introduce us to the remedy picture of the alga Chara intermedia, which has provoked a flurry of interest, proving especially popular for geriatric cases. Wrapping up is the Israeli homeopath Michal Yakir, who shows how childhood behavioural disturbances can be treated with the insights from her groundbreaking discoveries in the typology of plants. The Société de Médecine Homéopathique de Midi-Pyrénées (SMHMP) warmly invites you to an inspiring seminar on the Mammals by Jonathan Hardy. 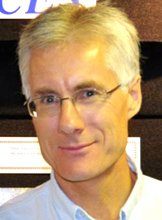 Jonathan Hardy is one of the most prominent teachers of “today’s homeopathy”. His in-depth knowledge of material medica and repertorisation allows him to associate the best of traditional homeopathy with the cutting-edge ideas of leading homeopaths, such as Jan Scholten and Rajan Sankaran. Moreover, his training as a zoologist gives him a particular “feeling” for the animal kingdom. It is, however, his skills as a teacher which make him a particularly sought after lecturer for he is able to make the most difficult cases clear and easily understandable. His lively clinical cases speak for themselves and his results are a homage to homeopathy. A promising seminar not to be missed! For all information, please click on the link of the seminar above. Vaikunthanath Das Kaviraj, an experienced homeopath, stumbled by accident upon the homeopathic treatment of plants when he was asked to treat a rust problem in apple trees. The apples had dark red rings on the skin and needed more watering than normal. The symptoms of redness with thirst fitted the remedy Belladonna, which he duly administered. To everyone’s surprise, the rust problem disappeared. What‘s more, the apples the following year tasted noticeably better. For Kaviraj, this was a turning point. In the next twelve years, he undertook intensive research in this area, employing homeopathy for all kinds of plant diseases. This book focuses on the homeopathic treatment of plants in cases of malnourishment, parasitic and fungal attack, bacterial and viral disease, damage, and weed infestation. Alongside well-known homeopathic remedies such as Calendula for damage during repotting or Calcium phosphoricum for root rot, he also presents less common remedies, such as Hyssopus for bacterial rots and blights, and Mentha viridis for pest control, as well as Ocimum basilicum for tomato diseases and Ricinus communis for pests in viticulture. A profoundly thought-provoking book that could revolutionize the future of farming. - The previous alphabetical arrangement has been replaced with a helpful new layout structured by topic, making the book simpler and easier to use as a practical reference work. - Using input from the latest studies and practical field experience, many interesting new remedies have been added. These provide greater choice and help you to precisely select the best remedy to treat plant disease in a more specific way. Some of these remedies have already been successfully applied, as shown by user feedback in our internet forum. - Pests, diseases, and nutrient problems are illustrated by 137colored photos.